When the finches stay still long enough that I can focus on them, they're really quite interesting. Do like their markings. 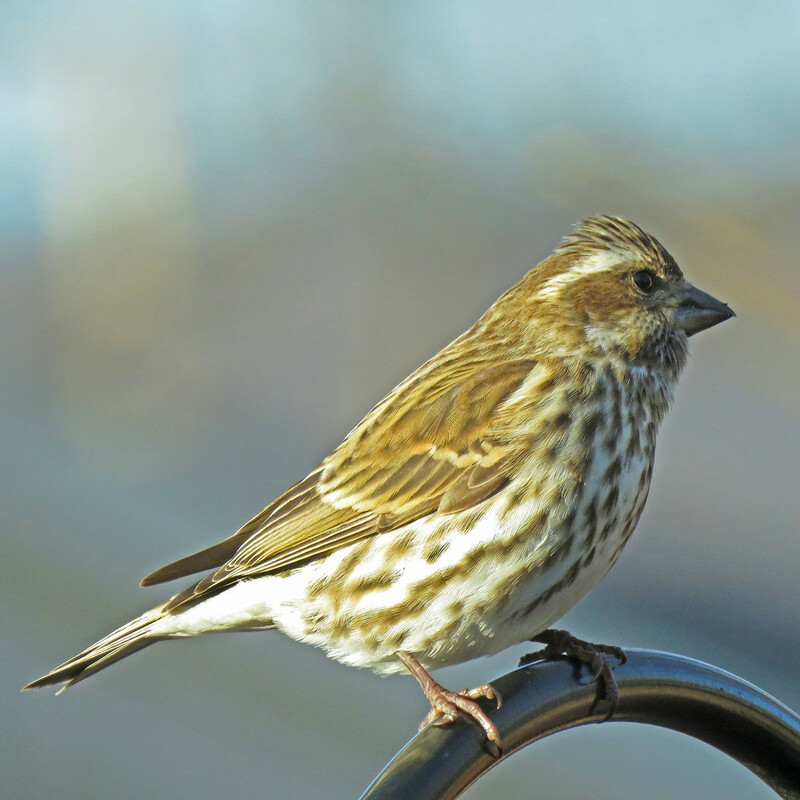 This female purple finch is quite nice in her subdued way. Great detail and capture! Fav! Beautiful little bird so well shot! Yes she is quite nice. Subdued but in a classy sort of way! Nice focus. fav. A lovely capture and fabulous detail and tones, fav! Lovely lighting and capture! I love their faces! Yes, those showy boys get all the fuss and attention! I love the gentle shades of the female. This is a fabulous sharp shot. She is beautiful. Lovely markings and what a great focus you achieved. Kind of a feminist statement?! Wonderful picture of her, Milanie! I love the amazing details you captured, and the light and background are so dreamy. You're right...she doesn't get as much recognition...but she should! She's so beautiful! :) This is a FAV for me! Fabulous capture! Excellent focus and wonderful details!